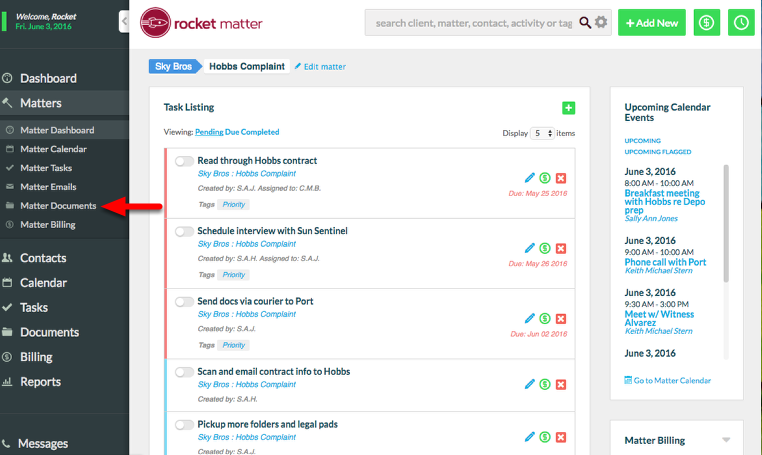 How do I use LawPay and share invoices with Rocket Matter? 1. 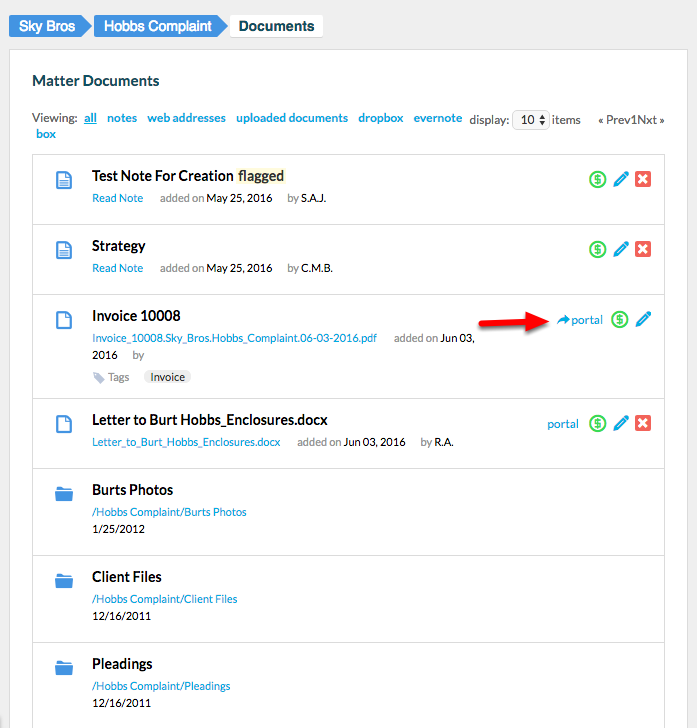 Navigate to the Matter where the invoice or document is stored, then click on the 'Matter Documents' section. 2. Click on the "portal" link next to the Invoice or Document you wish to share. 3. Click "Add another", and enter the Client's name in the 'Who can see this item?' field. 5. You've shared an item with your Client via the Portal! 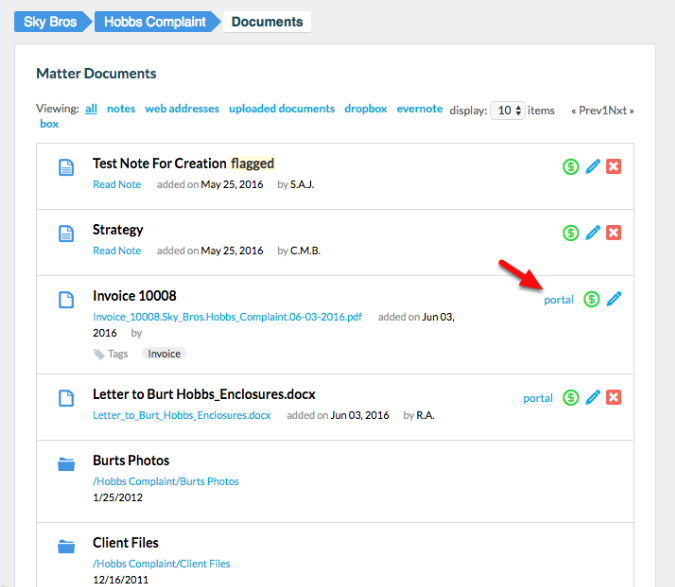 - The 'blue arrow' indicates that you've shared the document via the Portal. 5. Your Client logs into their Portal Account to view the items you've shared with them.